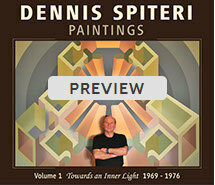 The three-volume monograph 'Dennis Spiteri – Paintings 1969-2015' was written and produced by the artist. These are unique documents, giving a very personal account of his journey through the creative process. They also contain the many preliminary drawings he did for the finished paintings. They show a complex mind with a particular vision at work – a mind that is also united irrevocably to a heart. The work he has produced in the past fifty years is as diverse as it is profoundly moving. He has always held the artist’s role in society in great standing. It was always up to the artist to show us the way forward and keep us on track as human beings. I think we can remind ourselves of the direction humankind should be taking by looking at and understanding these paintings. They will show us the tender depths from which they have sprung. They point towards hope. 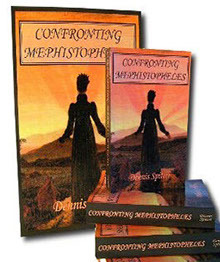 The novel 'Confronting Mephistopheles' took seven years to write from beginning to end and then another seven years to improve it. Even though the author incorporated both autobiographical and fictional elements, an acute sense of reality was always at the forefront of the writing. It also became a therapeutic process for him. Painful events that he had long ago buried in his subconscious began to emerge, and he had to face them and deal with them. In this sense, the author has stated, that it is probably the most personal artistic statement he’s ever made. The main character stands naked to be both viewed and judged. In this respect, Gustav Mahler’s music had been an inspiration to both the author and to the main character as artist. 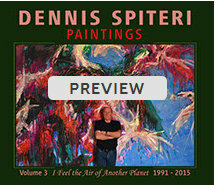 These three extensively illustrated volumes survey the paintings of the artist Dennis Spiteri. They trace the evolution of his abstract language from the geometrical imagery he began to develop in 1969 through to the freer and painterly imagery of today. Confronting Mephistopheles is the story of an artist, Tony Seguna and his struggle in a world that for him has become devoid of light and love. We follow him from his beginnings in Malta, his early artistic influences and his migration to Australia with his family. His story covers a thirty year period from 1967 to 1997, during which two major events occur that radically change Tony's life. He is confronted by Beethoven's music which sets him on the never ending path of self-discovery. It is in the course of this search that he meets the beautiful German singer Waltraute Hellmann. It is their instinctive understanding of each other that binds their sensibilities into an extraordinary love union. The story of Tony and Waltraute is told against the background of the turbulent years of the Whitlam Government during which Tony's political affiliations are shaped. It is a time of growth for both of them. Tragedy puts an end to this idyllic period. 1975, a defining moment in the history of the country, sees Tony throwing himself into the social turmoil. The political betrayal that takes place breaks any remaining bonds he has with Australia. The ensuing years in Germany bring Tony artistic fame, but a bitter, secretive man has emerged. The anger engendered by his stolen life propels him further into a make-believe world that skirts insanity and total collapse. In 1997 redemption comes in the form of two parcels he recieves on the same day. His rebirth begins.